Why should my church become ONA? Lesbian, gay, bisexual, and transgender (LGBT) people of faith often experience emotional and spiritual injury in churches that condemn their capacity to love and seek love. Because they’ve learned that “All Are Welcome” usually doesn’t apply to them, they can’t assume that any church will be safe for them and their families. A public welcome by an Open and Affirming church sends a clear message to LGBT seekers that they have a home in the United Church of Christ. What does it mean to be an “Open and Affirming” church? 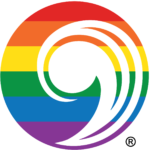 A congregation is Open and Affirming when it affirms a public covenant that “lesbian, gay, bisexual, and transgender people (LGBT)” (or people of all “sexual orientations, gender identities, and expressions”) are welcome in the full life and ministry of the congregation, e.g., membership, leadership, and employment. How will our ONA covenant make a difference? Your ONA covenant will make a difference to lesbian, gay, bisexual, and transgender adults who have experienced silence or condemnation in other churches. It will make a difference to LGBT youth who are at higher risk for suicide when they experience bullying or mistreatment because of their sexual orientation or gender expression. It will make a difference to parents of LGBT children whose families need the same affirmation and support congregations offer other families. It will make a difference to LGBT seniors who are often closeted, isolated, or abused in retirement communities and nursing homes. It will make a difference to all Christians who experience a deeper understanding of the Gospel and a stronger commitment to Gospel values when the congregation reaches out in love. LGBT Christians have learned from painful experience that a vague welcome often doesn’t include them and their families. The words are important. Just as a marriage covenant normally centers on an exchange of vows, an ONA covenant shows that the congregation is serious about its commitment to LGBT inclusion.